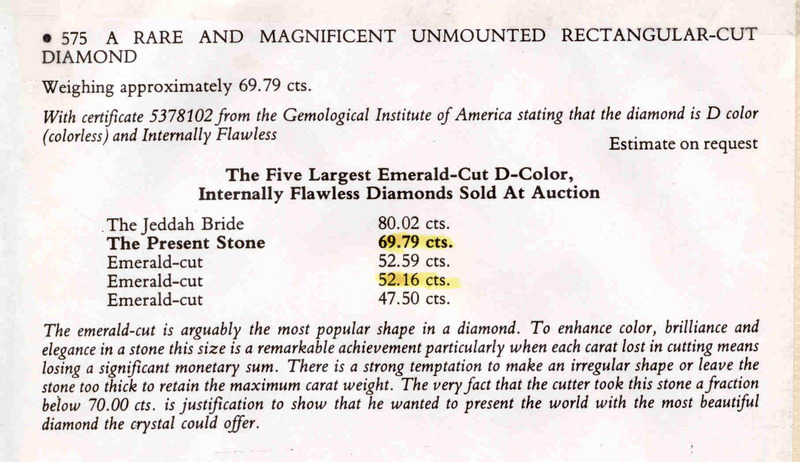 This 69.79 emerald-cut D stone emerged internally flawless. 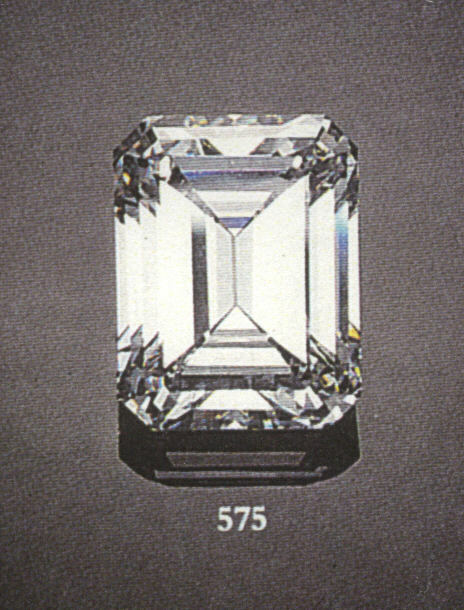 It was auctioned by Christie's and was the second-largest D IF stone ever sold at auction. 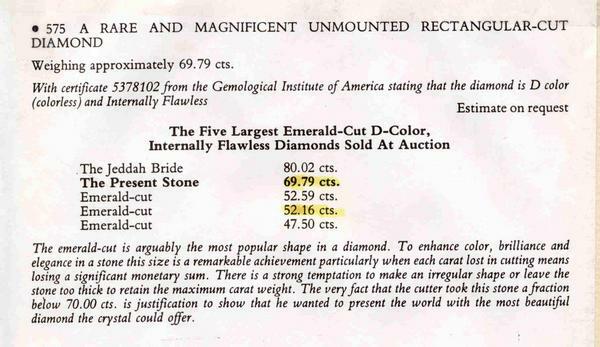 Haim cut two of the five largest D IF stones ever sold -- this stone and a 52.16 emerald-cut sold by Sotheby's. The auction description appears below. The GIA certificate can be seen here. Copyright © 2019 Haim Bendory. All rights reserved. 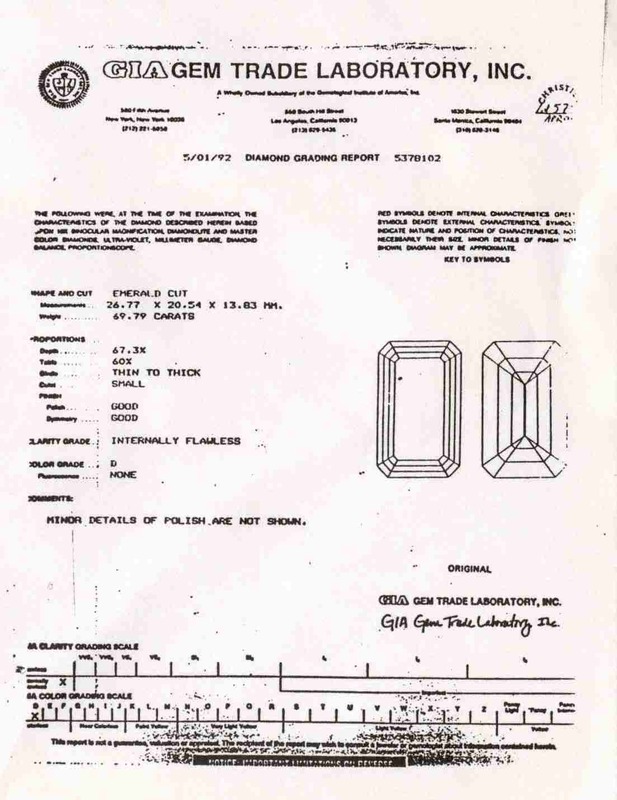 This material may not be copied, archived or distributed in any form without the explicit permission of the author.